Have you “done” Montmartre yet? The bustling square filled to overflowing with backpack-clad tourists, kitschy souvenirs, overpriced crepes and slightly seedy artists? Have you spent the evening there and come back just a wee bit dissatisfied, wondering when and why this most ancient of Parisian neighborhoods gave up the spirit of Renoir and Picasso and Dali and all those other non-conformists who stamped the place with a bohemian, almost magickal flavour? Welcome… you have just been tricked by Place du Tertre. The tourist trap that Paris puts out to protect its real village. The hub of all that’s kitschy, crowded and now practically soulless. Should you go there? Yes. In the same way that you can’t visit London without seeing the Big Ben at least once, you can’t skip this busy square. But spend a few minutes there, eat a crepe at the Restaurant Chez La Mère Catherine (where the word “bistro” was first coined) and then walk on. Because just a few cobbled alleyways away lies the real Montmartre. The Montmartre that locals would rather keep to themselves. 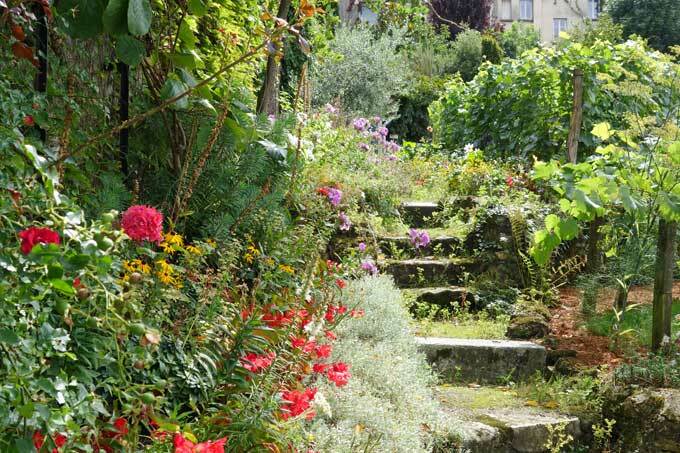 The Montmartre that lives up to its status of Paris’ last surviving village. 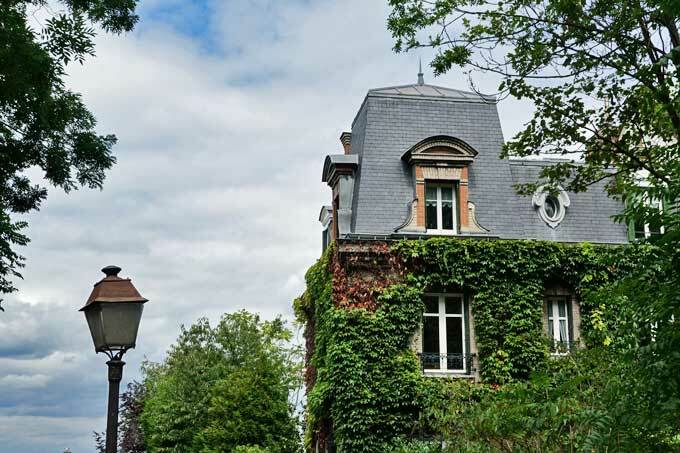 Do you know the Montmartre of stately houses? 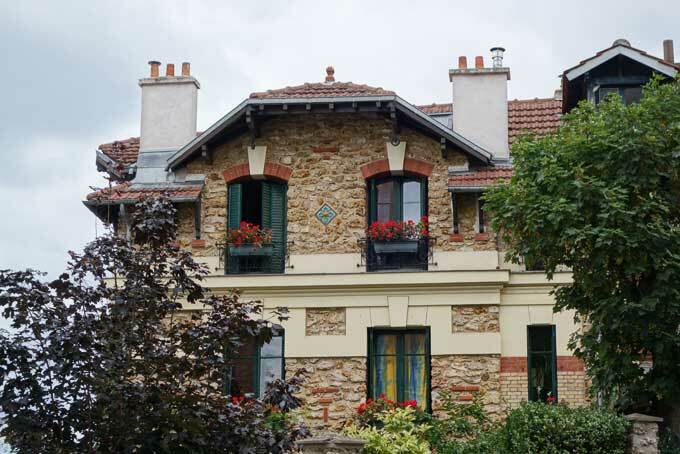 The Montmartre of architectural brilliance? …and historical adornments hidden away off the tourist trail? 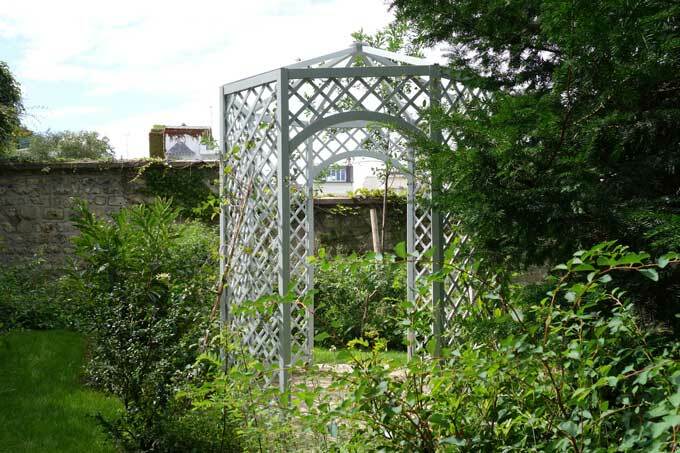 Do you know the Montmartre of secret gardens? 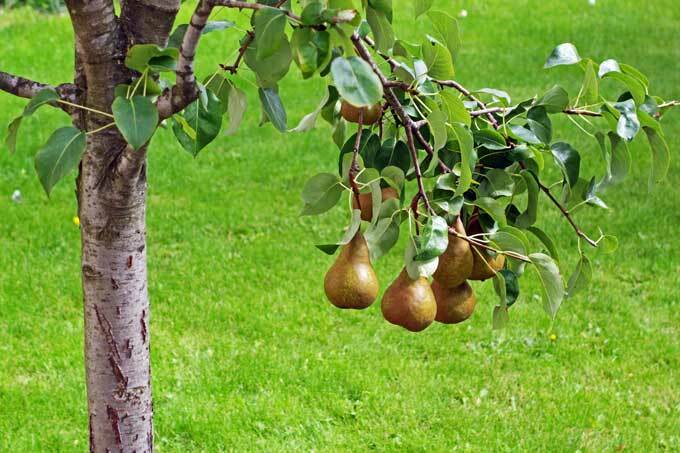 The Montmartre of pear, apple, almond and fig trees? 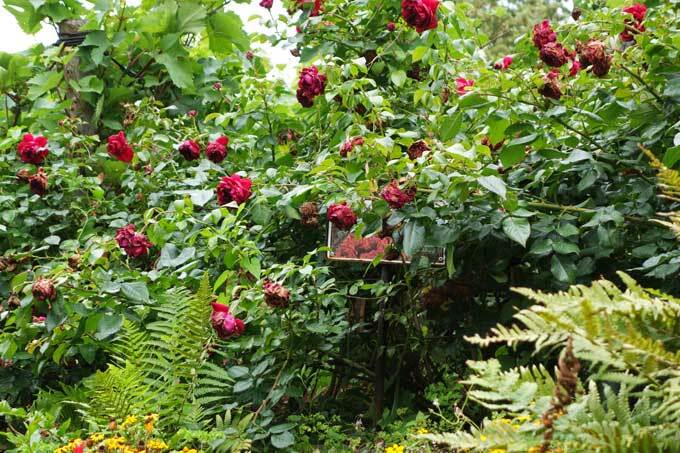 Where rare roses bloom through the year, at the edges of an ancient vineyard? This is the Montmartre of hidden woods, lost vineyards, tiny museums, open parks and cozy cafes. It’s the Montmartre of flowering fig trees, wooden windmills, secret gardens, medieval statues, dusty fountains and exquisite mosaics. It’s the Montmartre of Picasso’s first studio, Van Gogh’s last home, Renoir’s legendary cottage and Dali’s surreal quarters. It’s the Montmartre where Rodolphe Salis opened the first cabaret, working class girls danced the first French cancan and Edith Piaf trilled La Vie en Rose. It’s the Montmartre of shadowy bars, decadent studios and bohemian dance halls. It’s where the belle époque rose and fell, where impressionism flowered, where cubism was born, where surrealism took root and where modernism flourished. It’s the Montmartre where monks stomped grapes, gypsum mines were quarried to build Paris (hence the name ‘Plaster of Paris’), the Paris Commune rebelled against the French government in a bloody battle and headless saints walked tall. It’s the Montmartre where Vianne Rocher stirred hopes and dreams into her chocolates, Anouk danced through the mists in her lollipop shoes and Amélie gleefully pondered what adorable mischief she will wreak next. It’s the lost place we have all hunted for at some point in our lives – the place of magick, of ancient rituals and the ghosts of those who built Paris. This Montmartre is a time capsule… peel away the layers and it will show you every facet of Paris from ancient Roman times to today. 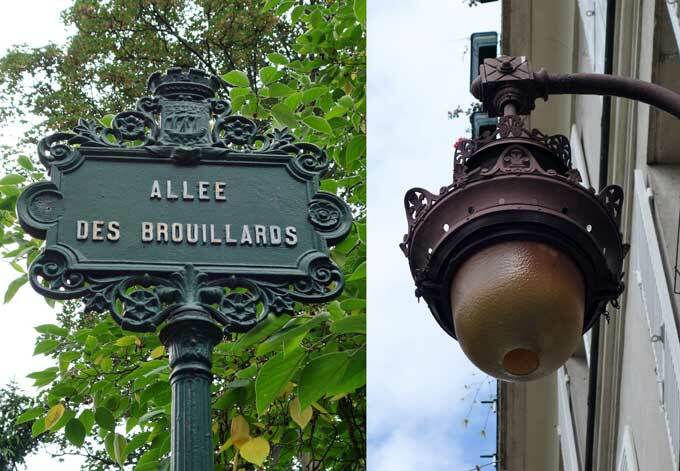 Today, let’s leave Place du Tertre behind and stroll towards the Rue Norvins, which lies right of the market square. Next week we will go in the other direction. And in the weeks to come, we will see many of these landmarks in closer detail. But for now, let’s just begin walking. This is easily Paris’ most charming museum. Sadly, it’s often the most ignored. The building itself is a historic landmark: a 17th century manor (the oldest building in Montmartre) that was home to a number of artists, including Auguste Renoir (who painted Le Bal du Moulin de la Galette and La Balançoire here), Émile Bernard, Raoul Dufy, Suzanne Valadon, Maurice Utrillo, Démétrios Galanis, Léon Bloy and Pierre Reverdy. 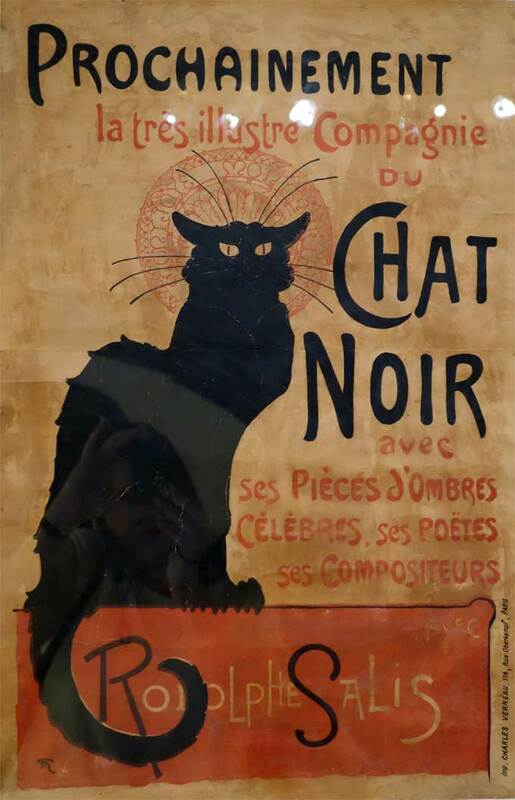 Today, its brilliant collection of paintings, posters, photographs, music and memorabilia tell the history of Montmartre in roughly chronological order from the ground floor to the third. 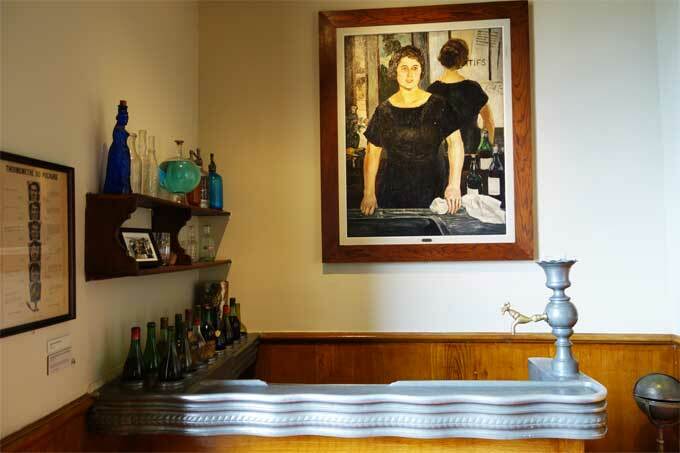 There are entire rooms devoted to cult classics like the Lapin Agile cabaret, with original Toulouse-Lautrec posters. There are sections that speak of nothing but the Bateau Lavoir, the gypsum quarries, the most famous cancan dancers of all times, the Moulin Rouge, the building of Sacré Coeur and the ensuing public protests… in short, there is enough here to keep you occupied for hours. I would suggest setting aside half a day to truly soak in the museum. 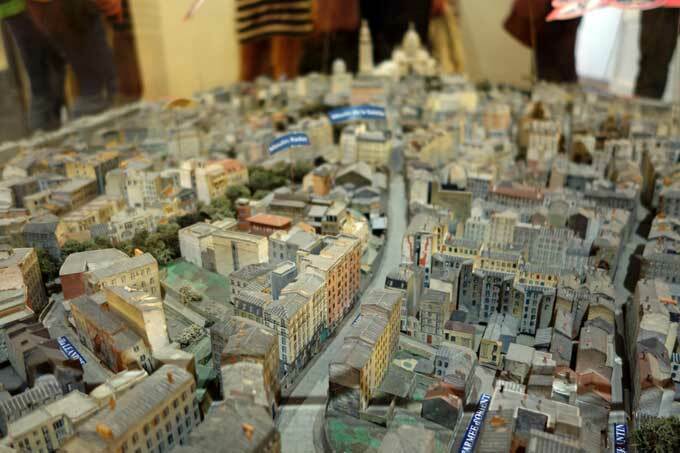 There is even an extraordinary scale model of Montmartre pinpointing all the major landmarks and artist’s homes on the hillock. Trust me, you won’t ever look at Montmartre in the same way again. Before you leave Musée de Montmartre, step into Jardins Renoir (“Renoir’s Gardens”), a reconstruction of the impressionist painter’s historical landscaping based on his paintings. Complete with pear and apple trees. 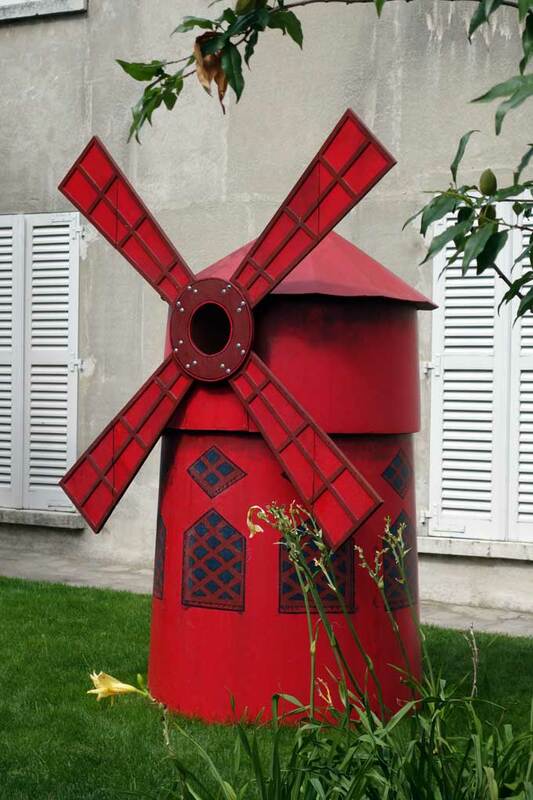 There is even a small scale model of the windmill from Moulin de la Galette out in the front. What? It’s still Montmartre… you have to allow it some kitsch! 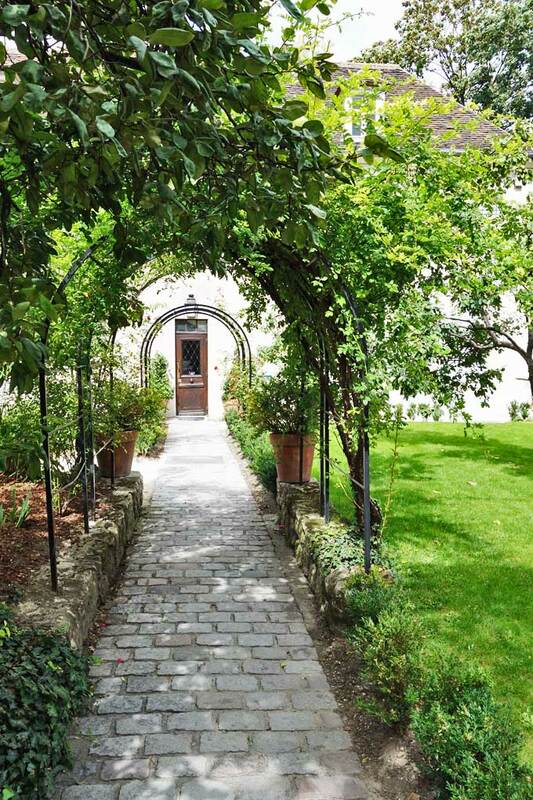 And while you walk from one section of the Musée de Montmartre to another, peek into the nooks and crannies for glimpses of a secret fairytale woodland: the old woods of 8 rue Cortot. 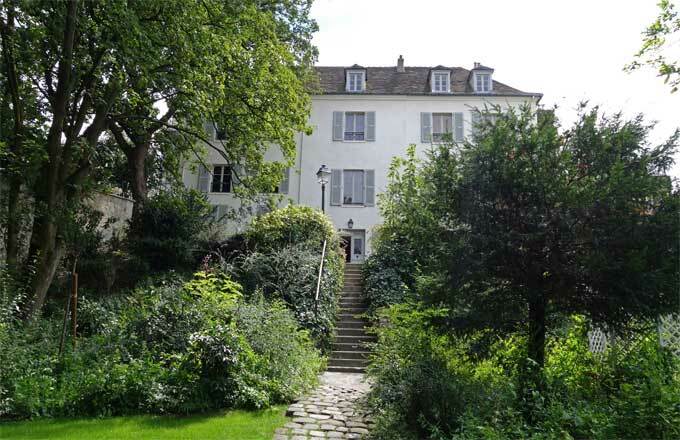 This land was sold by the Abbesses of Montmartre in the 17th century. 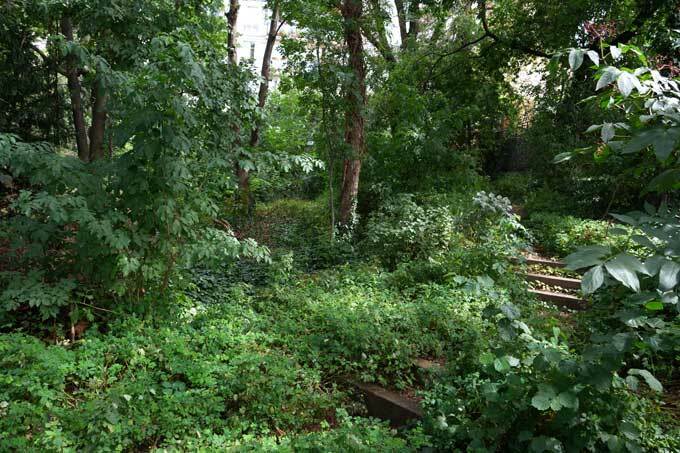 Transformed into an ornamental garden in the 18th century, it is today an ecological reserve of Paris, planted with maple trees, sycamores, white chestnut trees and locust trees. 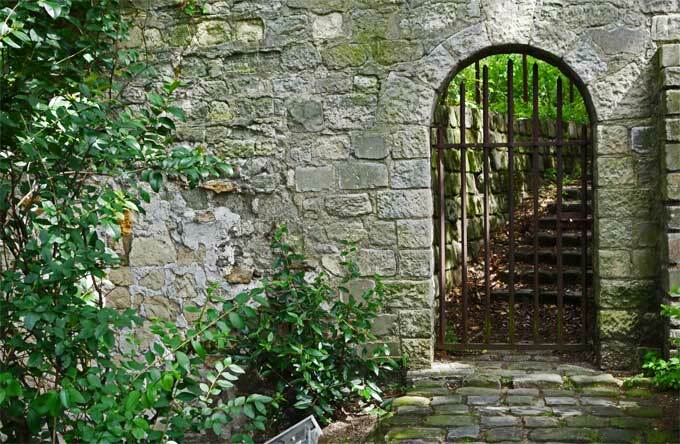 Sadly, a glimpse is all you will get since the woods lie behind a locked Secret-Garden-style gate. And as the sign proclaims: “Only cats have access”. Oh! To be Choupette right about now. Montmartre is not all kitschy cafes and snooty waiters. Or at least it’s not all kitschy cafes. 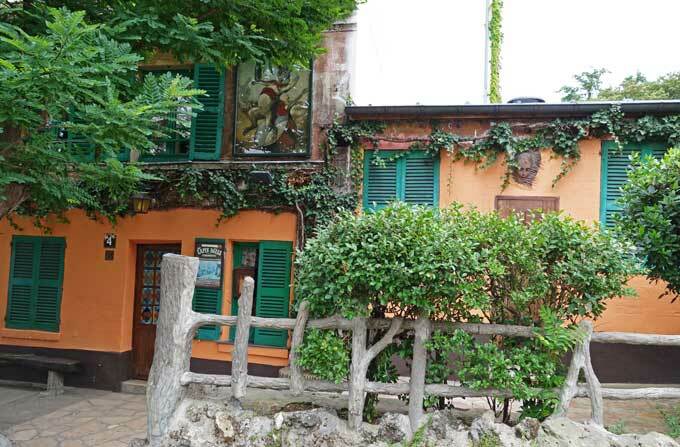 For a more authentic feel of the hilltop’s village antecedents, take yourself to the (seriously) tiny Le Maison Rose, which was once the stomping ground of Pablo Picasso, Gertrude Stein and Maurice Utrillo. 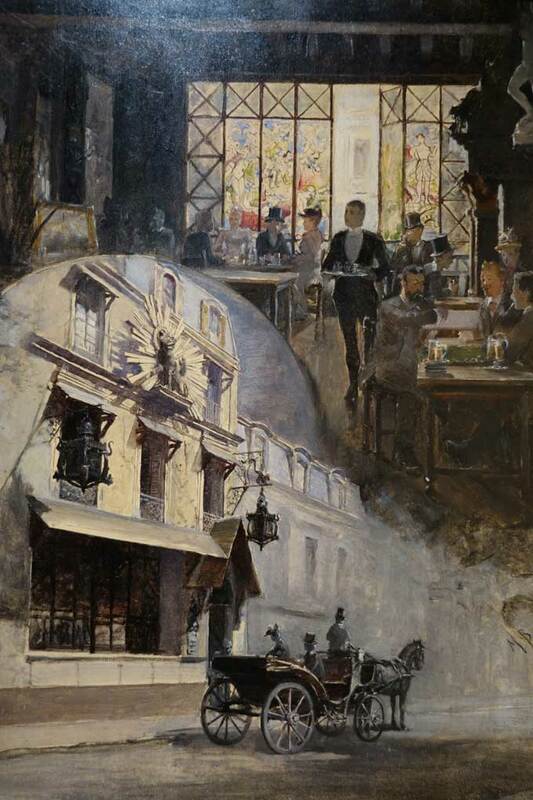 In 1916, the latter immortalised it in a painting titled La Maison Rose à Montmartre. The food is decent, the location is phenomenal, the drinks menu is extensive. The waiters… well, you can’t have it all! According to the New York Times, Clos Montmartre produces the most expensive bad wine in the city. 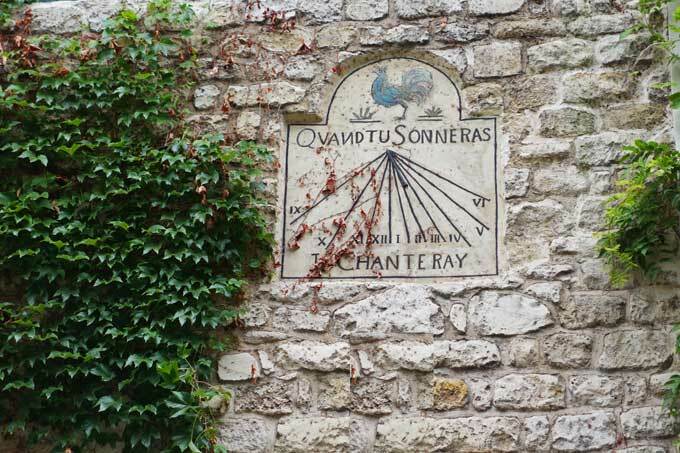 According to me and other lovers of Paris/wines/secret spots/hidden histories/quirky stories, the city’s last working vineyard has a magic that even the best critics can’t burnish. 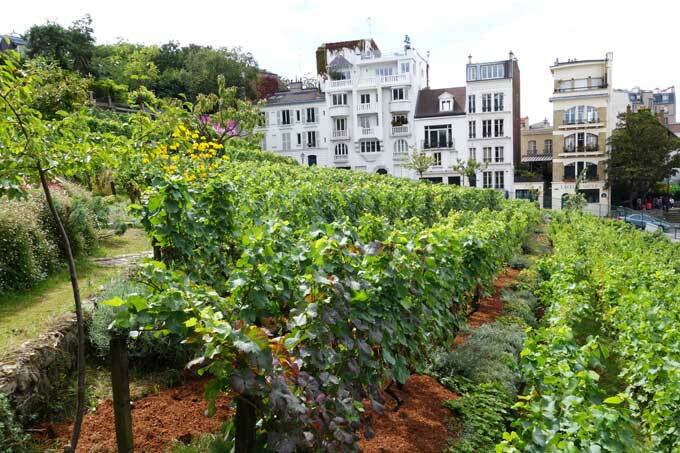 Clos Montmartre is a step back into Roman times, when Montmartre was overflowing with grapevines. The Romans even built a temple here dedicated to Bacchus, the god of wine. 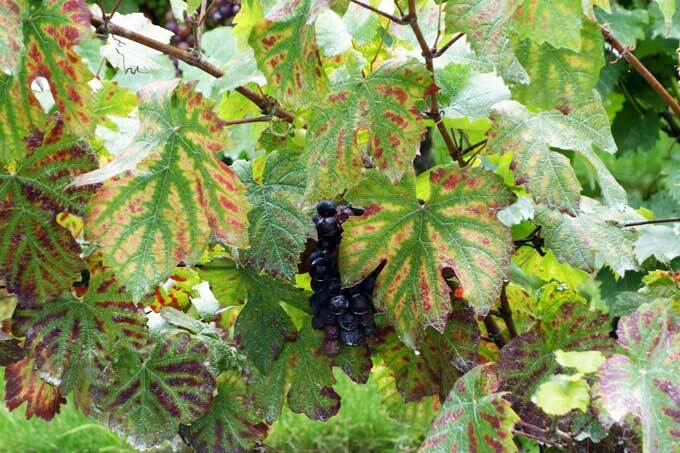 However, during the 18th and 19th centuries, growing popularity of wines from other areas combined with the outbreaks of disease and the increasing urbanization of Paris meant that gradually the vineyards all but disappeared. Luckily for those of us who like a happy ending, in the 1930s a group of artists campaigned hard (see, the French love for public protests is a good thing!) to keep the last of this tradition alive. Clos Montmartre was renewed in 1933, with the first harvest in 1934… today, it covers 1,556 sq m and contains 1,900 vines of 28 different grape varieties including Gamay and Pinot Noir. The vines are picked in an old-style communal fest every autumn, after which the grapes are fermented in the Town Hall cellars and distilled into approximately 1,700 bottles whose labels are painted by local artists. Each bottle is priced at €45 and the profits are used for charity. Coming back to the critics, refined palates say the polluted terroir makes for wine that’s little more than a romantic souvenir of a lost tradition. I say there’s nothing wrong with that. NB: Unfortunately, you can’t actually enter the vineyard except during the Fête des Vendanges (“Wine Festival”), held on the first Saturday in October. At other times, try the Montmartre tourist office, at Place du Tertre (two minutes from the vineyard). They usually require you come in a group of at least 12 – though smaller groups may be lucky if the vineyard is not too busy – and you pay for a tasting, although the tour is free. 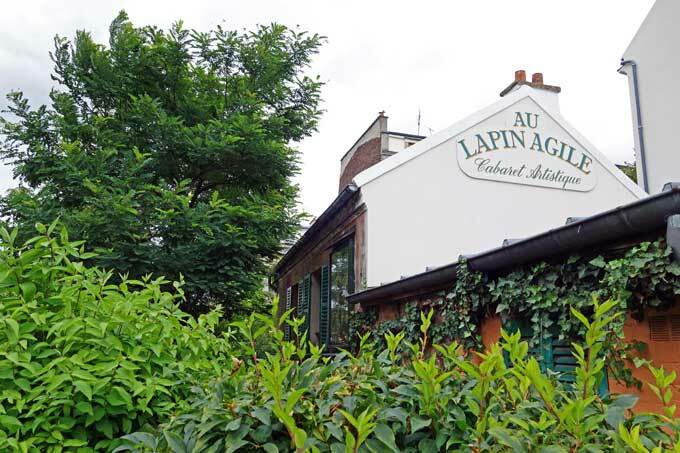 The Moulin Rouge is all well and good but it’s at the Cabaret Au Lapin Agile (“the Agile Rabbit”) that you will find one of the greatest centres of bohemian life in Paris. It’s one of the oldest bars/cabarets in Paris (founded in 1860) and it was in this little cottage-style building that struggling artists like Picasso and Modigliani drank, Maurice Utrillo virtually lived and Charlie Chapman played his violin. And many of them paid their bills through paintings: Picasso once settled a bar bill in 1905 with the painting known as At The Lapin Agile. In 1920, the owners sold it for US$20. In 1989, it was auctioned at Sotheby’s for US$42 million! You can see a replica within these historic walls. However, Au Lapin Agile’s actual origins were not as illustrious. It was originally called Cabaret des Assassins. Tradition relates the cabaret received this name because a band of assassins broke in and killed the owner’s son. 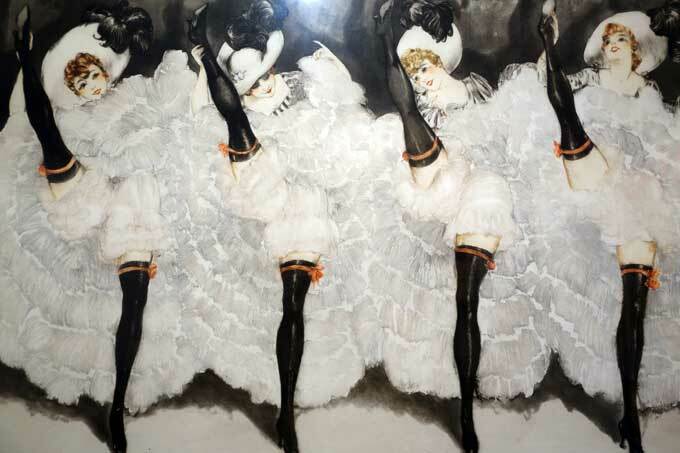 The cabaret was more than 20 years old when, in 1875, the artist Andre Gill painted the sign that was to suggest its permanent name. 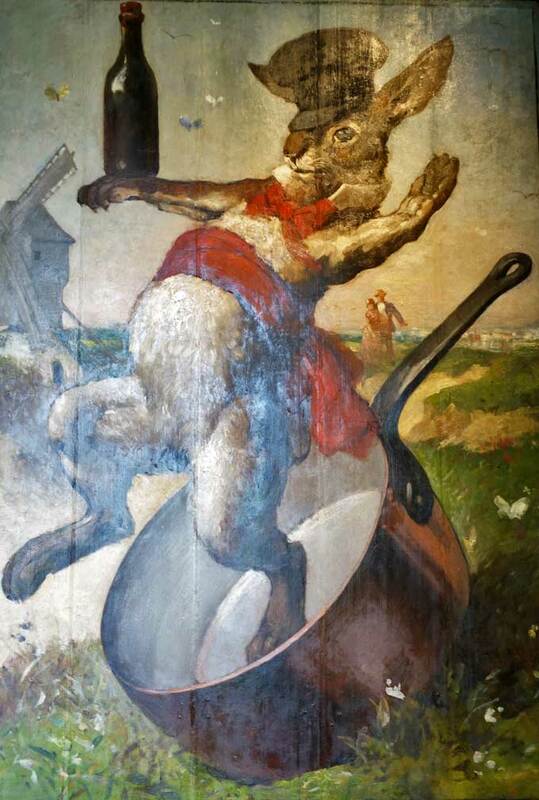 It was a picture of a rabbit jumping out of a saucepan, and residents began calling their neighborhood night-club Le Lapin à Gill, meaning “Gill’s rabbit”. Over time, the name had evolved into Cabaret Au Lapin Agile, or the “Nimble Rabbit Cabaret”. Then, like today, it was the village hotspot – the domain of struggling artists, eccentrics, simple down-and-outers, a contingent of local anarchists, as well as with students from the Latin Quarter, all mixed with a sprinkling of well-heeled bourgeoisie out on a lark. The old Parisian personality of this cabaret survives. Every night except Monday a series of performers take a small, French-speaking audience on a wistful musical journey back to the good old days. Dine and/or drink here and you are following in the footsteps of Vivien Leigh, Robert Mitchum, Eleanor Roosevelt, Ernest Hemmingway, Henry Miller, Lawrence Olivier, Lauren Bacall, Joanne Woodward, Paul Newman and Burt Reynolds. A visit will allow you to experience the most authentic of French singing, whilst seated at the simple old tables and chairs that have been there for decades. You can see where patrons have carved their names in to the old wood as you wonder which characters may have been on this same chair in the past! 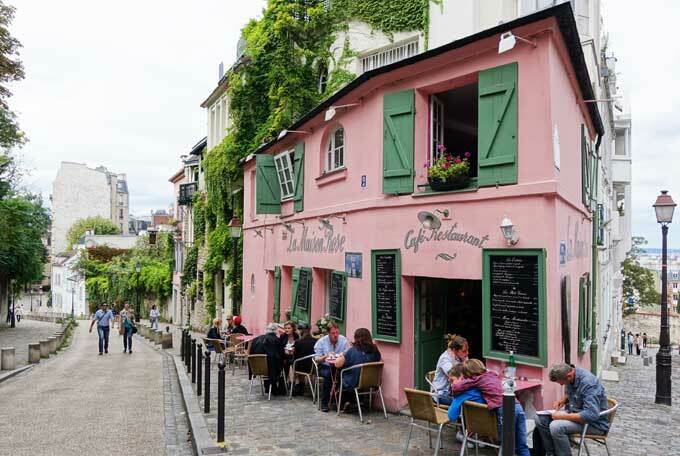 What’s your favourite spot in Montmartre?